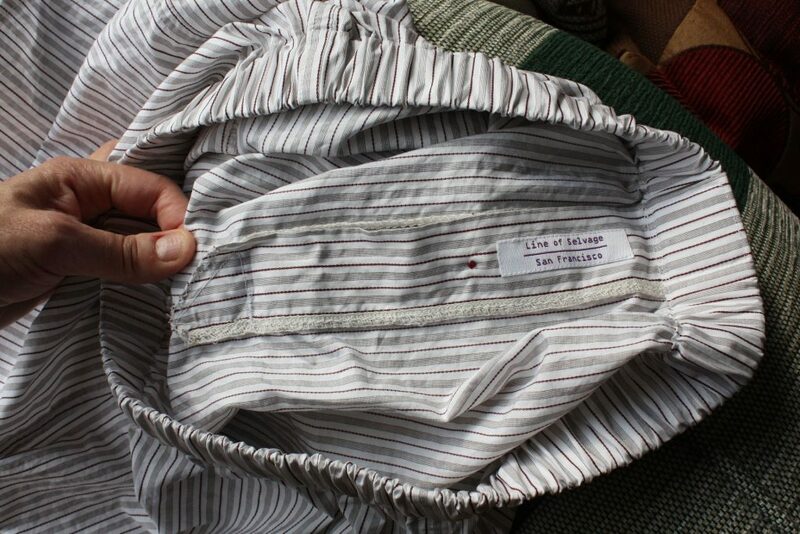 The boxers use a casing for the elastic, which is typical – but you overlap the waistband at the front, and secure them with a stitching box, shown below. 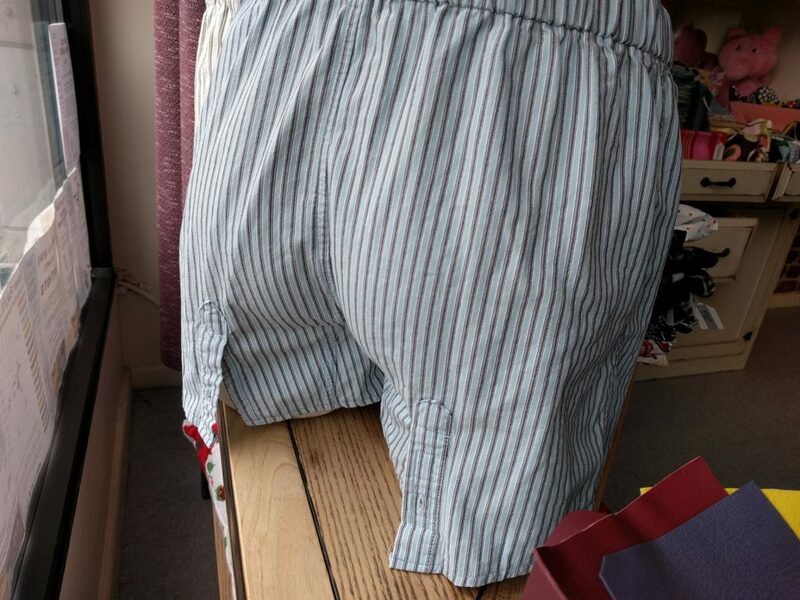 This is a different technique from the Simplicity 2741 boxers I first made as a beginner, and a good choice for a first sewing project. What’s more, it’s easy to open the waist band to adjust the elastic for the desired fit. 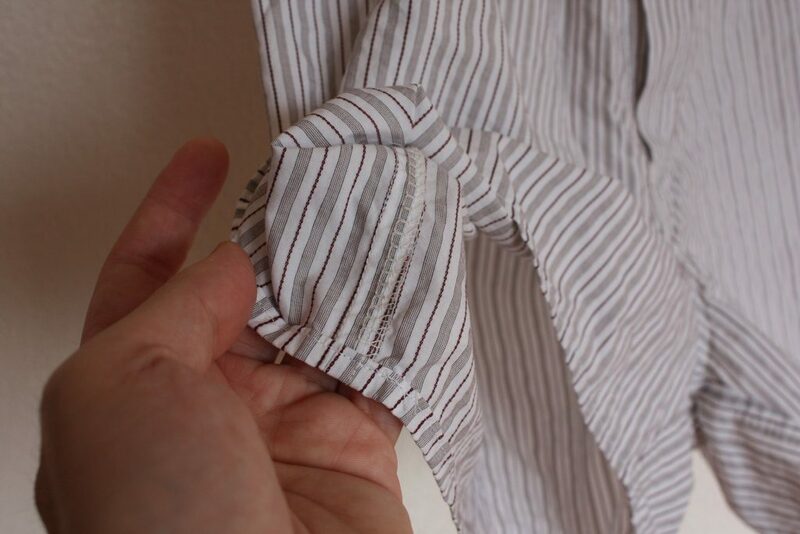 Whereas the shirt has carefully turned flat-fell seams, with the boxers construction is more carefree. 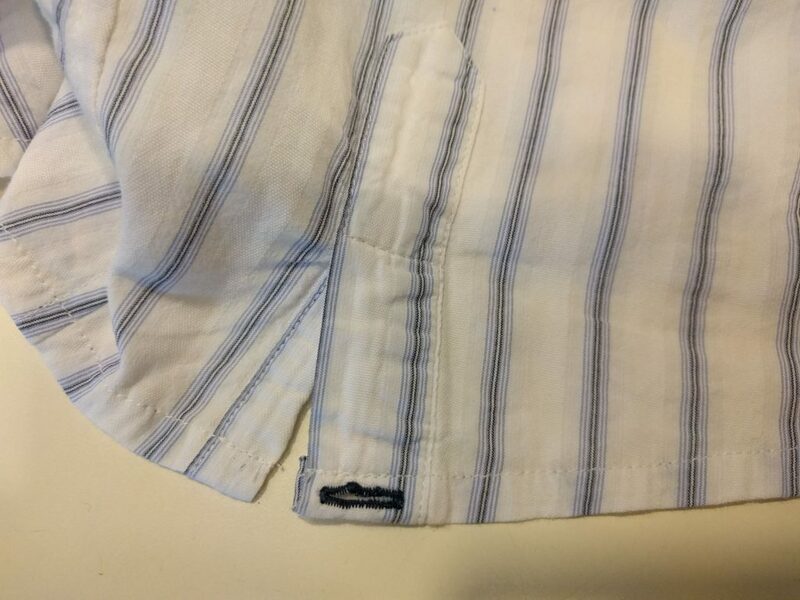 I made mock flat-fell seams by first stitching a 3/8 inch seam allowance with a conventional machine, then finishing the seam edges with a serger. I folded down the serged seam allowances and secured them with a line of stitching 1/4 inch from the first. The result looks like a flat-fell seam from the outside. Similarly, I used the serger to finish the seam allowances on the inside of the fly. 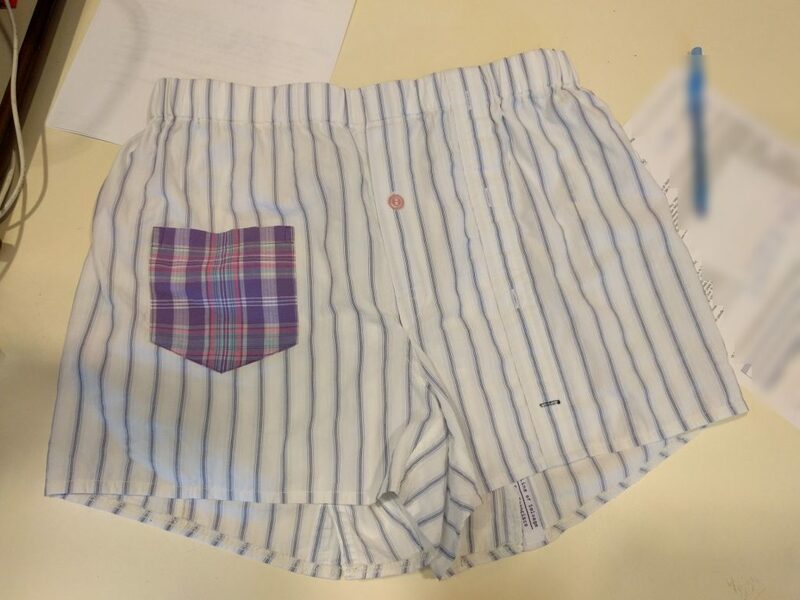 Long ago, I had started an upcycle project to turn some old discarded dress shirts into boxers, which never went anywhere. I used the Sips N Sews class pattern to finish this “UFO” project. I made some pairs of upcycled shirts-to-boxers, adapting the shirt pieces in interesting ways. The front shirt placket becomes a design feature on the front of the shorts. I also added a button to the fly, to keep the fly closed as well as add to the “shirt” feel of the shorts. The shorts backs are fabricated from the shirt sleeves. 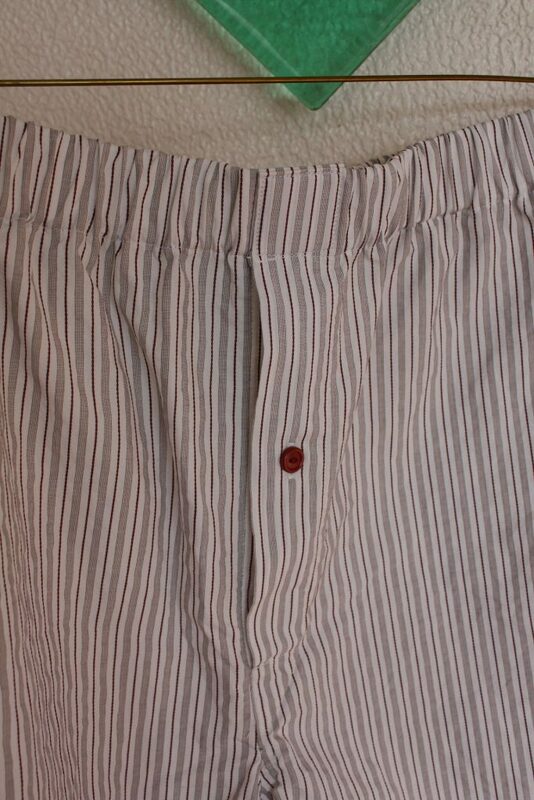 The sleeve plackets turn into fun “kick pleats” on the back of the shorts legs. 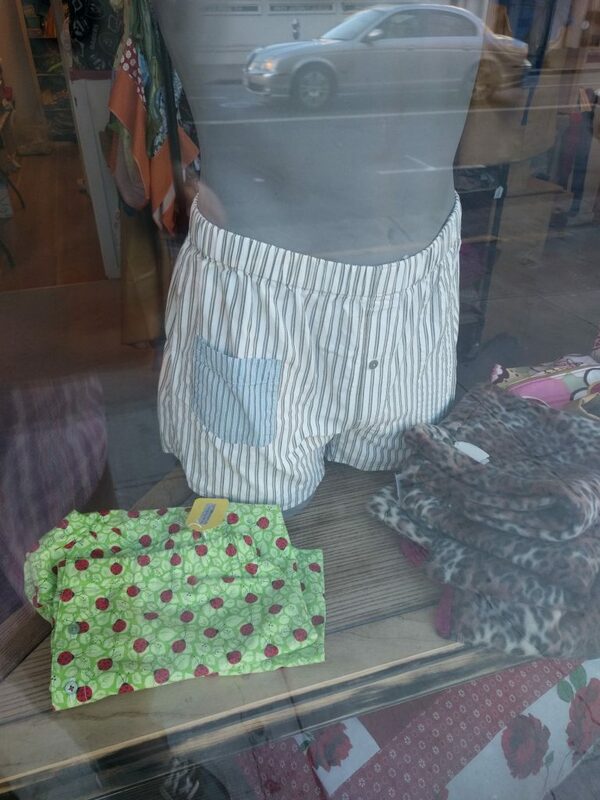 I’ve made the upcycled shirt boxers available for purchase at Sips N Sews, 1144 Sutter Street in San Francisco. 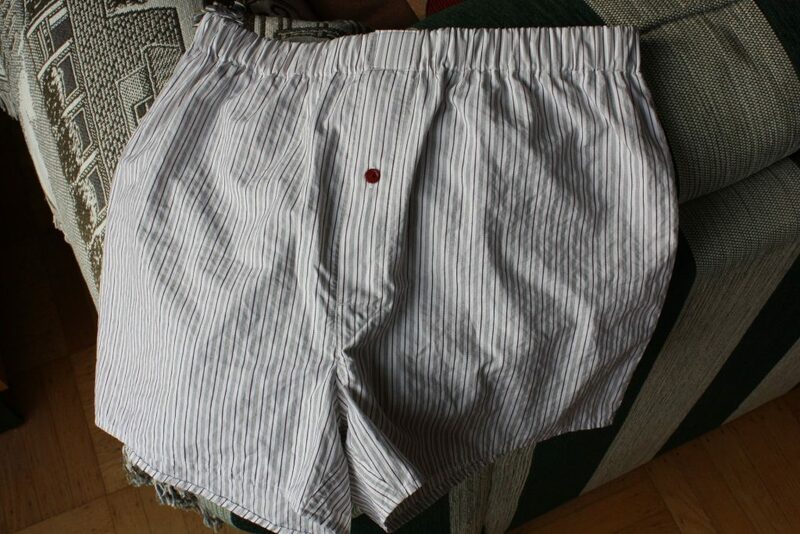 Finally, if you’re looking for a good beginner’s menswear project, boxer shorts are a great place to start. The best online tutorial is the excellent sew-along at Male Pattern Boldness. 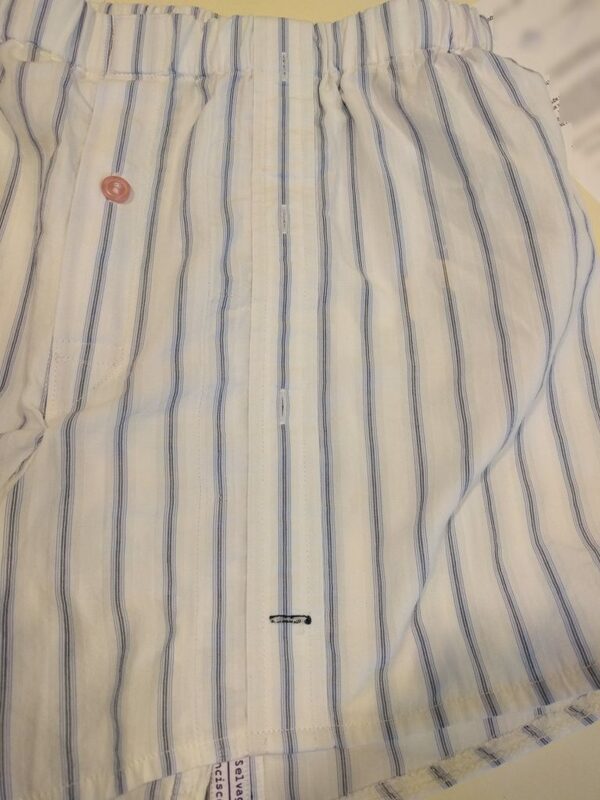 Cotton shirting, positioned, pieced, and placed in the most deserving garment of soft, breathable, fabric. On behalf of man-parts everywhere, you are a pioneer of conscientious construction, and lauded accordingly. What a nice way to describe it! Thank you. 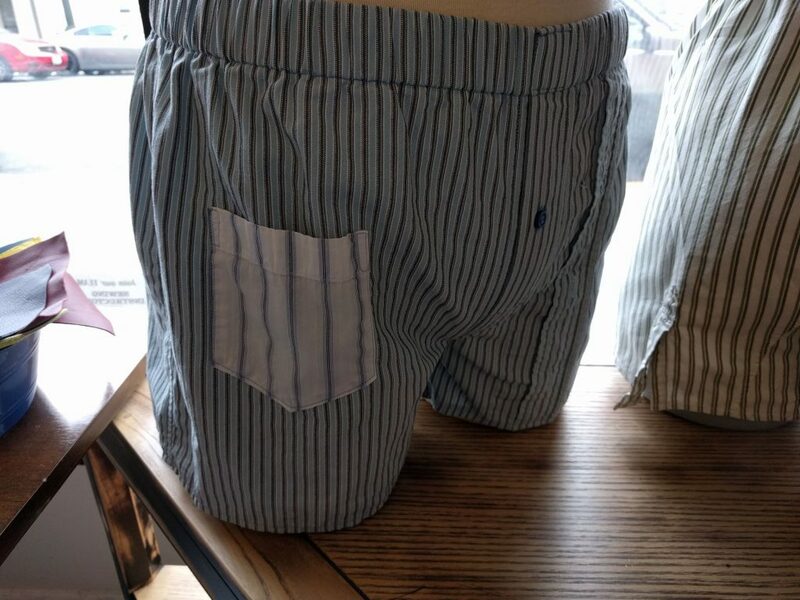 Those are handsome boxers (and probably super soft and pleasant to wear). And the pocket is very cute. 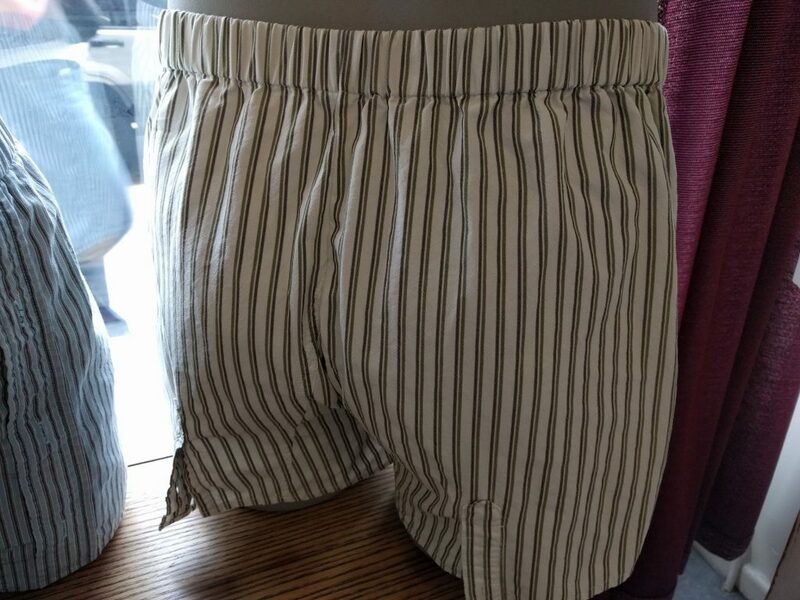 I saw those in the window and loved the ones with the cuff placket, but didn’t know what they were. Thanks for taking a look! Hope they make a little more sense now.